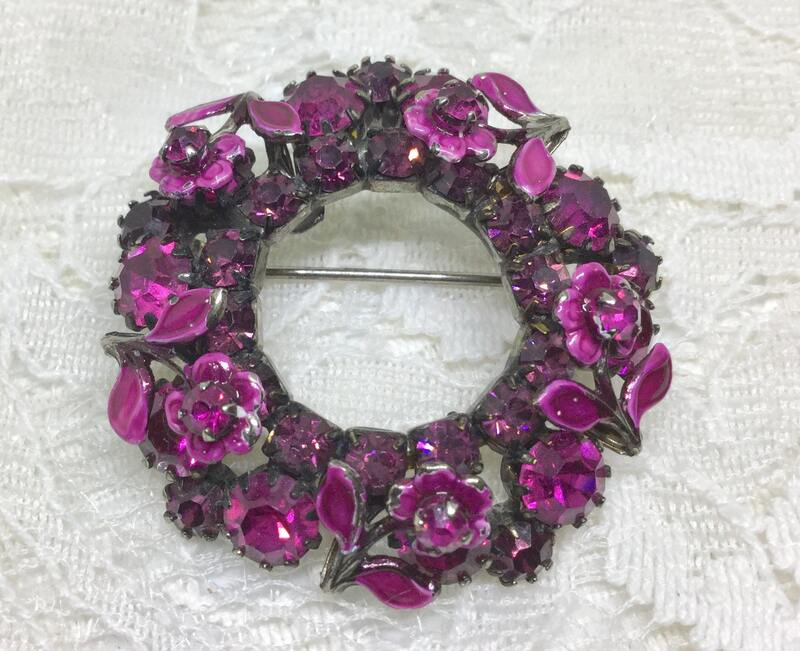 This is a sweet vintage silvertone fuchsia flower wreath brooch. 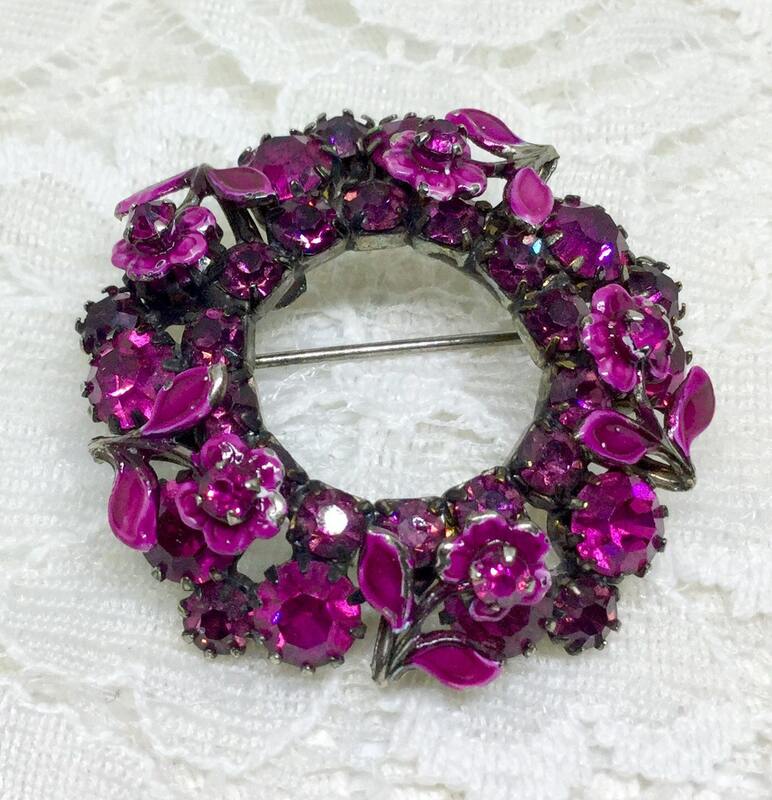 The wreath has five fuchsia flowers on stems with petals on top of fuchsia rhinestones. All of the rhinestones are faceted and prong set and look original to the brooch. 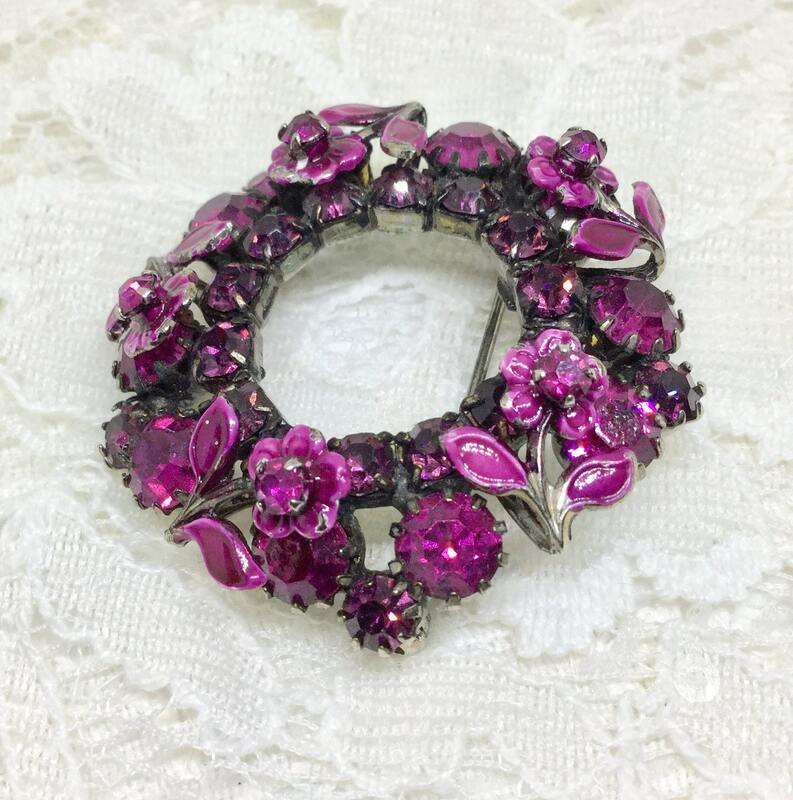 The fuchsia enamel is in good condition with a couple of teeny flea bites which are not noticeable when wearing. It measures 1 1/2” in diameter and the pin closure is straight and works smoothly and securely. I love fuchsia and I know a lot of you do to! 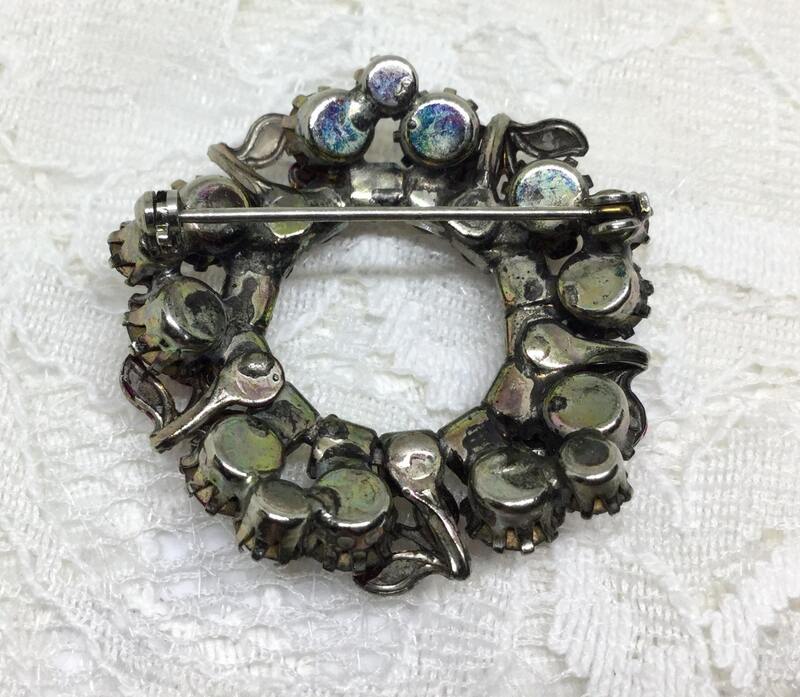 A great brooch to wear on a denim jacket or a gray or pink sweater, or as a great gift to a dear friend!